In Life Is Strange, you take control of shy teenager Max, who just recently arrived in her hometown of Arcadia Bay to study photography at the Blackwell Academy. When YOU catch up with her though, she’s just had a terrible nightmare about a horrific storm that leaves behind a barren wasteland. If that’s not bad enough, she’ll soon discover she has the ability to manipulate time. In Dontnod Entertainment and Square Enix’s episodic fantasy teen drama, you’ll be thrown into a world John Hughes might have been able to love and appreciate, as you’ll meet your fellow students, see/hear their quirks and problems and all the while, deal with this new ability and catch wind of something far sinister behind the curtain. 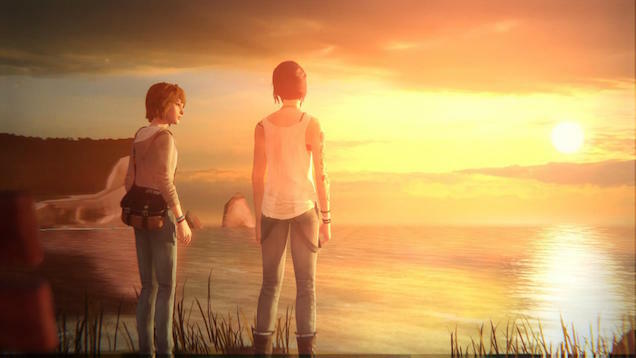 Life Is Strange is refreshing, for one thing, because you are a teenage girl – a relatively normal teenage girl anyhow – and the world you’ll explore, in this episode anyway, doesn’t feature grotesque aliens or zombies or dragons, it features conversations with other folk, as if you were watching a teen drama on The CW. In other words, this episodic adventure fits into the “Interactive Drama” genre, like Heavy Rain or Fahrenheit before it, and much like those games, it uses conversations between the key players in this story in an exciting and thrilling way. You’ll spend the duration of the episode engaging in conversations and using your ability to manipulate time to work around some tougher decisions. It’s an interesting change of pace when you just go from Far Cry 4 to something quieter and dialogue heavy like this. As Chrysalis is the first part in a five part series, it does a great job in setting up the characters important to the story or rather Max’s story. Every character and every line they speak lays the foundation not only for what may or may not unfold later on in the series but each piece of dialogue from them connects back to our main lady and back to the theme this series seems to be aiming for – identity. Who is Max? Where is she going? What does she want? What kind of person has she been or has become? When you run into Max’s estranged friend Chloe, more questions arise about these two and about Max’s past. Much like Theo and Eleanor in Shirley Jackson’s The Haunting of Hill House, there seems to be a lesbian undercurrent to these two – an intimacy that feels much more than just a platonic friendship. Whether it is strictly an error in my viewpoint or perhaps this is the writing further exploring the identity of Max through the relationship with her now distant friend, I won’t know until episode two comes out in March later this year. I do have a few small complaints here — the lip syncing here is rather terrible, looking more like an out of synch kung fu movie. It doesn’t make or break the experience but it is rather jarring. Other times, line delivery can be flat and character’s can be written a little oddly, such as our heroine hopping off in a car and letting her good male friend take a beating for her in a rather tense sequence but I don’t really know these characters very well so for all I know, this is who they are. I’ll have to see how the rest of the story unfolds. 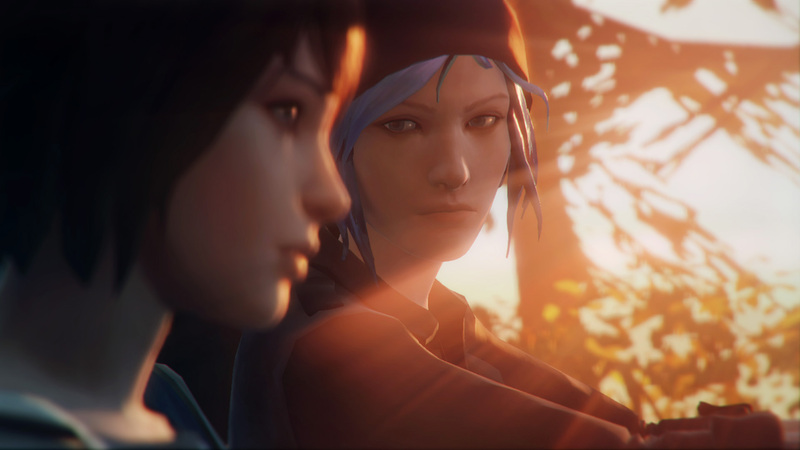 Life Is Strange has an intriguing cast of characters that I’d like to catch up with in the second episode. Much like any TV series, this first episode has left me hanging – and when a game is this gorgeous in its musical score and art style and when it takes the route of interactive drama and examines issues like identity in these characters, I just can’t get enough of it.